There are many traditional and online methods to boost marketing for your business, and it may be tricky to find which options work best for you. Despite the many channels available to you (SEO, PPC, social media, etc.) there has been proven success with content marketing strategies for small businesses. A well-managed company blog is just one aspect that can boost your marketing strategy in ways you could not imagine. 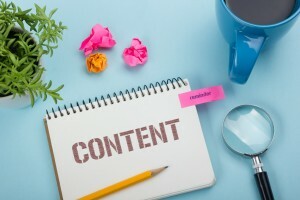 If you want to learn about the benefits of content marketing in Canada, and how these tips apply to you, check out these content marketing ideas and tips for small businesses. Having a content strategy for your small business can provide many advantages. Quality content on your web site can provide consistent value to your audience, and to Google. You show search engines that your content is fresh, valuable, and relevant by posting weekly, and boost yourself in search rankings with the use of keywords and proper search engine optimization strategies (SEO). Content marketing also produces shareable commodity. By bringing something helpful to your readers instead of pushing a product or service, you will be appreciated more than your competitors and increase your chances of referrals. Blog posts can be shared across social media, and by using images and video, you can continue to generate leads. Additional benefits include reliability, nurtured relationships, and repeat business. Doing your research and explaining it in a clear way makes you the go-to source for information on that subject. You can nurture relationships by providing something extra for your readers, and you can expect customers to return for more as they will remember your name and have a positive association with you. Creativity is an important part of great content and so is data. Data can help you find your target audience, topics relevant to them, and hone in on the preferences of potential buyers. You can get a wealth of valuable information through the engagement rate of customers and the rate of conversions (downloaded content, sign up for newsletters, etc.). Some factors that affect the stages of the buyer’s journey include your industry, the product or service being offered, pricing, the business model, and your audience. This journey is typically organized in three stages: awareness, consideration, and decision. Your customer must be made aware of a need or problem, they must consider your content as a form of information and research, which should then lead them to the decision of choosing your offer over those of different vendors. Be sure to produce content for each of these stages. An important part of creating engaging content is to post solutions for the goals and challenges of your local audience. The more specific you can be about this process, the better. What is the primary goal of your readers? Once you know this, you will better understand what solutions would be best to help them achieve their goals and overcome their challenges. You will not only grab their attention, you will also make yourself their source for future solutions. The digital landscape allows you to create content in multiple formats: Some prospects like reading while others prefer informative videos. Some want in-depth e-Books, while others want quick, easy-to-read, point-form tips. You can share the same information in different formats to reach the widest possible range of potential buyers. More and more users are browsing the Internet using their smartphones. This is why your web site should always include mobile-friendly content. It allows customers to view your content from anywhere at any time. Hyperlinks and buttons should be visible and easy to click when users want to respond to your call to action. The last tip is to stay fresh, and don’t run away from trying new things. New content, tactics, and tools should not scare you but inspire you to alter your strategies instead. By switching things up and trying new things, you’re more likely to keep your audience excited and interested to come back to your site again and again. Having web site content that is high-quality, readable on mobile devices, and integrated with social media will help your business gain the leads it needs. The aforementioned tips are just part of an entire optimization process that will benefit your business, and increase your leads. 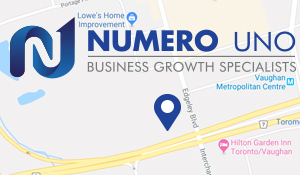 If you are looking for help with your content marketing in Toronto, Numero Uno Web Solutions can help you. We are a content marketing agency in Toronto that specializes in helping startups and small businesses improve their web site’s SEO and more. We have benefitted businesses in Toronto, Richmond Hill, Vaughan, and we have even extended our services to Texas, Massachusetts, and Florida. To learn more about our content audit software, tools, and services, call us at 1-855-SEO-XPRT.